We follow the adventures of a restaurant owner and Iraqi war veteran. The Purple Heart recipient returns home lost and bewildered. 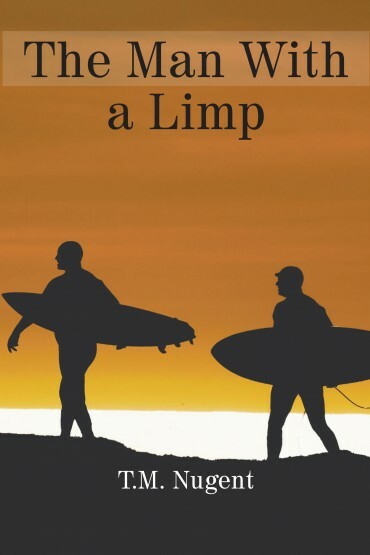 Lucky decides to hitchhike home to Santa Cruz; no money in his pockets, he walks into the Santa Cruz Experience, a restaurant on the beach and meets a generous owner named Jack. With one simple salutation; “ Hi! My name is Jack,” a friendship begins. A story is told through the eyes of Jack, a restaurateur in Santa Cruz, California. I hope you enjoy the many surprises along the way; the struggles, victory, and the love of family. Hi book lovers, My name is Timothy M. Nugent. I live in Tilarán, Costa Rica and I am a Temporary Resident of Costa Rica. In 2008 my wife of thirty-eight years passed away and I began to travel the western United States. I did it on a full dress Harley Davidson Motorcycle and I had a great time taking pictures and writing poetry. My wife was a great influence with my writing. 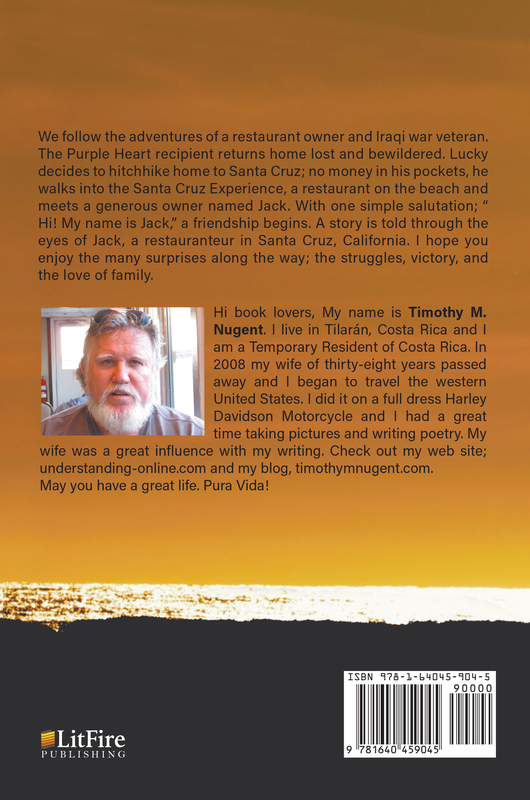 Check out my web site; understanding-online.com and my blog, timothymnugent.com. May you have a great life. Pura Vida!